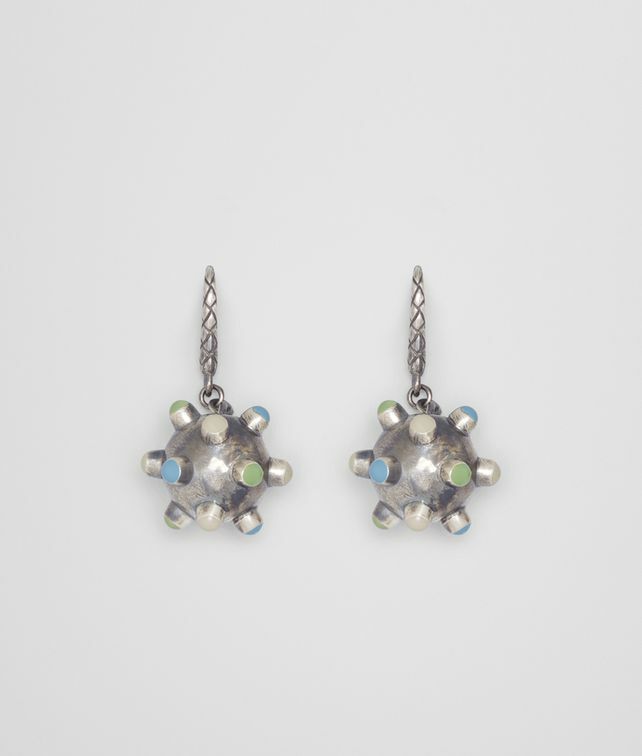 These drop earrings are made from orbs of sterling silver with tiny studs decorated with colorful enamel. New for Cruise 2019, the pair’s playful attitude and color is designed to complement the collection’s optimistic palette. Finished with a hook back engraved in the intrecciato motif. Length: 3.34 cm | 1.3"
Diameter: 1.7 cm | 0.69"